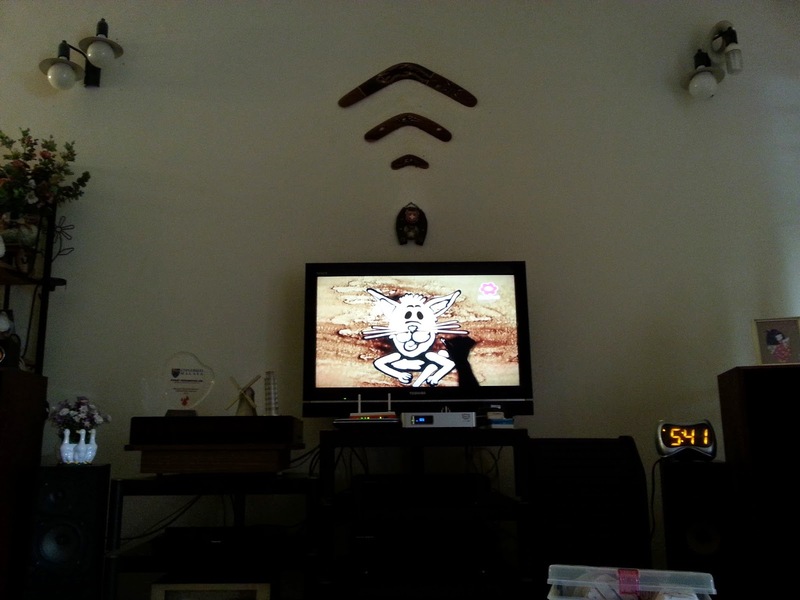 Of course, I never just watched any TV program, it was always a cartoon with really great moral values like never judging a beast by its looks or how much you should appreciate nature or something educational with dancing hosts and musical people who looked like they were having the time of their life bouncing up and down on TV. And they would always just look so happy to be together! I guess times have changed now too because I recently came to know about this new educational program that features live action celebrity hosts, songs, dances, music and 3D animated baby animals all packed into one to capture the attention of children from kindergarten stages to early primary days! 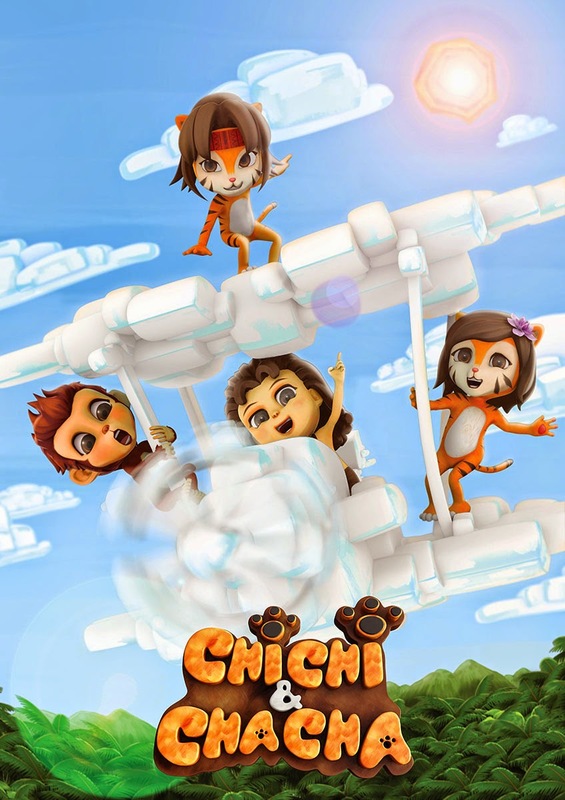 Oh yes, the show is called ChiChi & ChaCha! Featuring 5 teenage celebrity hosts alongside 3D animated characters, this 30-minute show airs every Saturday at 10.30 AM and three times a day from Mondays to Fridays on Astro Ceria and Astro MayaHD! Within this half an hour, children are exposed to learn through music, stories, arts and craft sessions for creativity and a boost on interactive problem solving matters, making it an edutainment brand that houses 360° contents for a fun TV time! But you know what makes TV time more than just TV time nowadays? TV times that rewards you for tuning in and bringing your child a chance in getting their talents honed by the five ChiChi & ChaCha hosts! 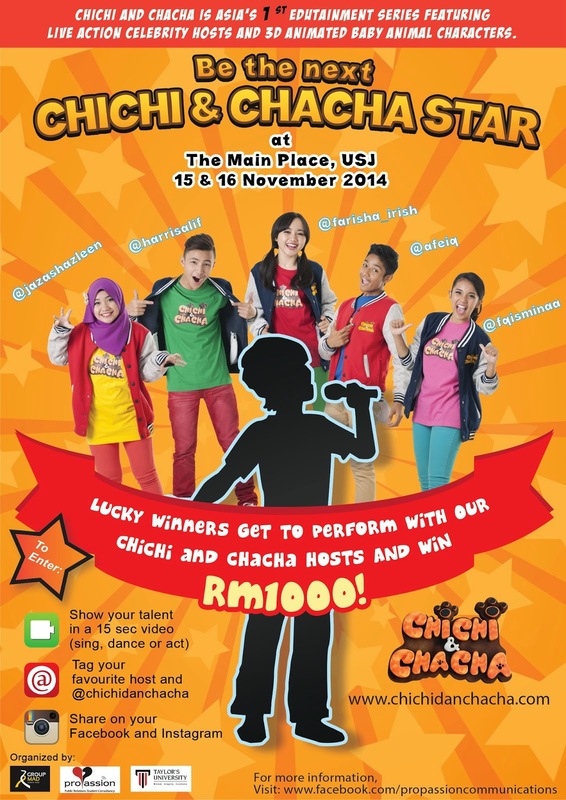 Get ready to join the ChiChi & ChaCha star search for kids! The criteria is actually really simple and I would totally join...if I wasn't over the age limit. But you know what? If you are below the age of 18, here's how you can get a chunk of RM 1,000 along with the chance to perform next to the hosts of ChiChi & ChaCha! All these also works if you know someone below the age of 18 and you have them nominated because if your nominee gets into the Grand Final, you're going home RM 100 richer too! There will be 30 lucky winners picked out on the 15th November and these 30 contestants will then be given 90 seconds to showcase their talents again before the Top 10 get picked out to perform during the Grand Final on the 16th November! Remember that these 3Ps - Performance, Potential and Personality works really well on increasing your chances of getting picked! Go ahead, the sky is your limit. For more information on Asia's first edutainment series, check out http://www.chichiandchaha.com/ and get yourself ready to shoot for the stars!